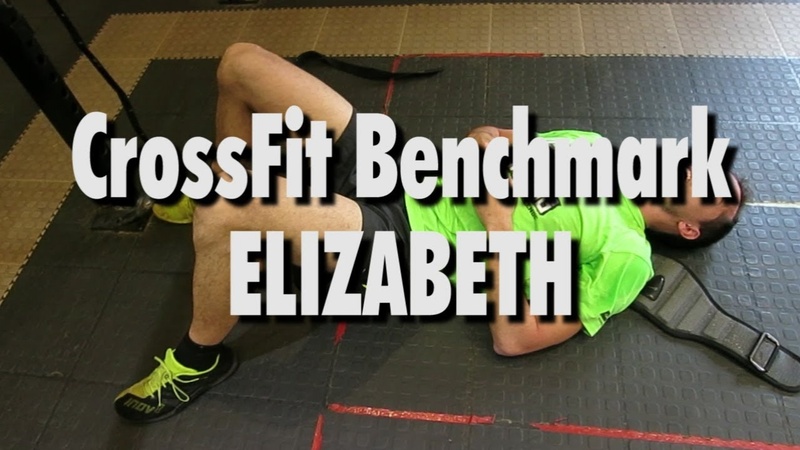 Add a video for "Elizabeth"
Strategy: In the "Elizabeth" benchmark WOD the middle round of 15 typically tends to be the sticking point for athletes on this workout. Athletes can think about how we would ideally partition both movements in that round, and then apply it to the round of 21 as well. 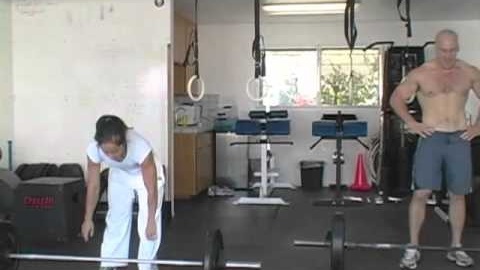 This will help athletes maintain consistent sets as the workout moves along. Whether these are sets of five, three, or fast singles, there is no wrong answer. A balance of technique and consistency will allow athletes to maximize their efforts today. 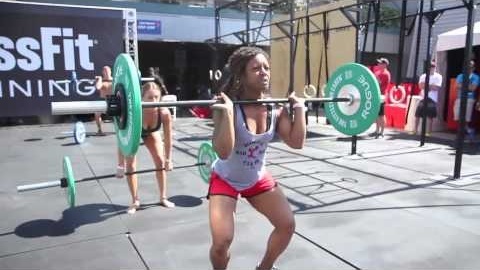 Background: "Elizabeth," one of CrossFit's original six "Girls" WODs. 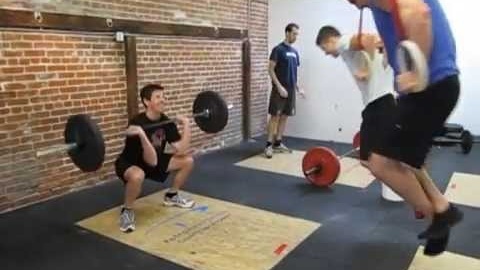 It was first posted on the CrossFit Main Site as the workout of the day for Friday, September 12, 2003 (030912). Squat cleans are the original prescribed (Rx) movement for "Elizabeth." One popular scaled variant of the WOD, "Power Elizabeth," calls for power cleans instead of squat cleans.